LOS ANGELES – Los Angeles County had the second-highest number of homeless residents of any region in the country this year, according to a report released Monday by the U.S. Department of Housing and Urban Development. The data was taken from point-in-time counts conducted in January, which found the Los Angeles region had 49,955 homeless residents, behind only New York City, which topped the list with 78,676. L.A. also had one of the highest number of unsheltered homeless living outdoors, in abandoned buildings or other locations not suitable for human habitation, compared to sheltered homeless living in emergency shelters, safe havens or transitional housing. In New York, which had one of the lowest rates, only 5 percent were unsheltered, compared to 75 percent for Los Angeles. Los Angeles also had the largest number of individuals with chronic patterns of homelessness in the country at 12,782, or 15 percent of the national total, and the highest percentage of chronically homeless individuals staying outdoors, at 94 percent. The HUD report also found that 24 percent of all of the nation’s homeless — out of 553,000 people experiencing homelessness in the United States — were located in either New York City or Los Angeles. L.A. also had the second-highest number of homeless last year in the HUD study, but did see its totals drop from 55,188 to just under 50,000. Overall, California leads all other states with 129,972 homeless individuals, followed by New York at 91,897. When those two states are combined with Florida, Texas and Washington, roughly half of the country’s homeless population was clustered in five states. 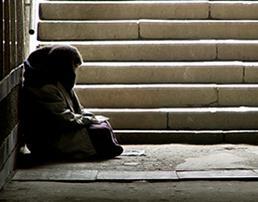 Homelessness in California has declined in recent years despite the robust total. The state’s homeless population fell by 1,560, or 1.2 percent, from 2017 to 2018 and 9,014, or 6.5 percent, from 2007 to 2018. New York and Massachusetts have seen the biggest increases from 2007 to 2018, adding 29,296 and 4,941 homeless residents to their counts, respectively. 3 comments for "HUD report: L.A. County has second-highest homeless population of U.S. regions"
No city is more deserving of a 9.0 earthquake than that overrated, overpriced, traffic choked sewer down the hill. That also goes for most of L.A. county. That’s one way to reset this ludicrous housing market. I wonder how many of the homeless in LAC are transplants from other states. I don’t think “transplants” is the right description. It isn’t like homeless people get up in the morning and say “thank goodness I have the freedom to just move across the country, I’m gonna move to LA.” People come to LA and then become homeless. Probably a lot of them, because the basic fact is that a whole lot of people come to LA. That’s part of the price for being ‘the land of opportunity.’ You don’t see a whole lot of people going to Kansas and becoming homeless, because who wants to go to in the first place? There’s no opportunity there, and pretty much everyone knows it.